It’s all change at the top of the Gameweek 25 charts after an eventful set of games. Chelsea and West Ham dominate the charts for Gameweek 25. Chelsea defence investment is essential, with 6 clean sheets in 7. Marcos Alonso is justifying his price tag on a weekly basis. A defensive double up could have its merits. Hazard is the leading attacking player, and performed strongly last time out. West Ham are unbeaten in their last 4. Clean sheets have been hard to come by, but could be just around the corner. Arnautovic is an appealing out of position prospect, with returns in his last 6 starts. He is budget friendly too. Unfortunately, Lanzini is sidelined with a groin injury. Manchester United and Spurs have the best form of all Premier League sides, unbeaten in their last 4 games. For United, they’ve four consecutive clean sheets, so get Jones in your side. Pogba and Martial are the in form attackers, plus Lukaku and Lingard’s output will be boosted by the arrival of Sanchez. 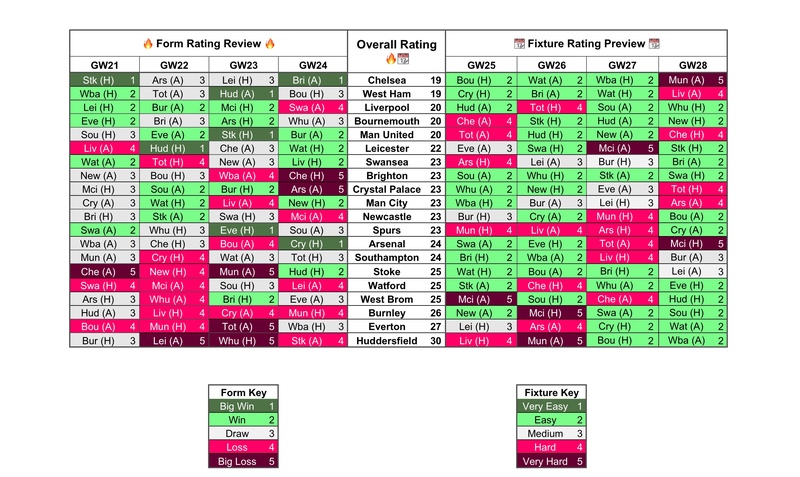 The charts suggest that Spurs have the form to sustain returns over the next 4 games, despite the difficult fixtures. Harry Kane is an absolute season keeper and should be held. Now is the time to ship out midfielders held from the double Gameweek, maybe switching to options from West Ham and Chelsea. Brightn and Stoke have the kindest upcoming schedule. Brighton haven’t been performing well of late, but have the potential to keep things tight with Duffy and Dunk in the back line. The attack is difficult to invest in, they’ve struggled for goals recently. Stoke are an intriguing option under ther new manager. Look at new signing Bauer in defence as a source of clean sheets. 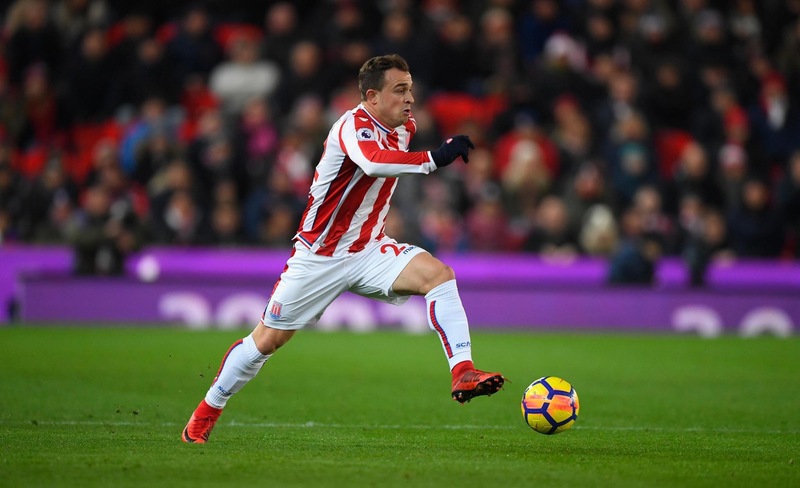 Shaqiri, Allen and Choupo Moting could prove handy as a cheap midfield option: they have all returned in recent weeks. Good Luck for Gameweek 25! BEFORE YOU GO, take a look at 5 budget friendly picks for Gameweek 25 onwards.